It’s the moment a high-wire act went haywire. The Sarasota County Sheriff’s Office in Florida recently released this video from 2017. 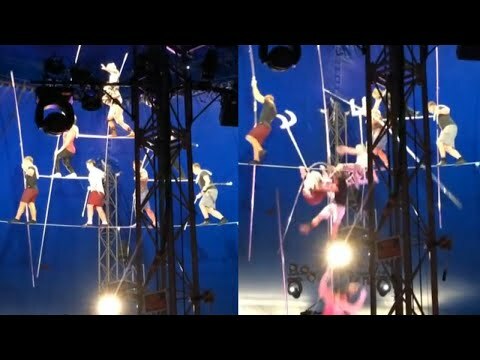 Circus performers fell more than 20 feet to the ground while practicing an eight-person pyramid for an upcoming show. Five people were injured, all members of the famed Wallenda family, known for their daring aerial acts. The most famous member of the family, Nik Wallenda, was part of the act but wasn’t injured. . InsideEdition.com’s Mara Montalbano has more.